ASP Tacloban participated in MADE-N.O.W. Project HeART: HeART for Humanity Phase III, an art psychosocial intervention program as post-disaster response for the Yolanda survivors in Leyte funded by Metrobank Foundation. 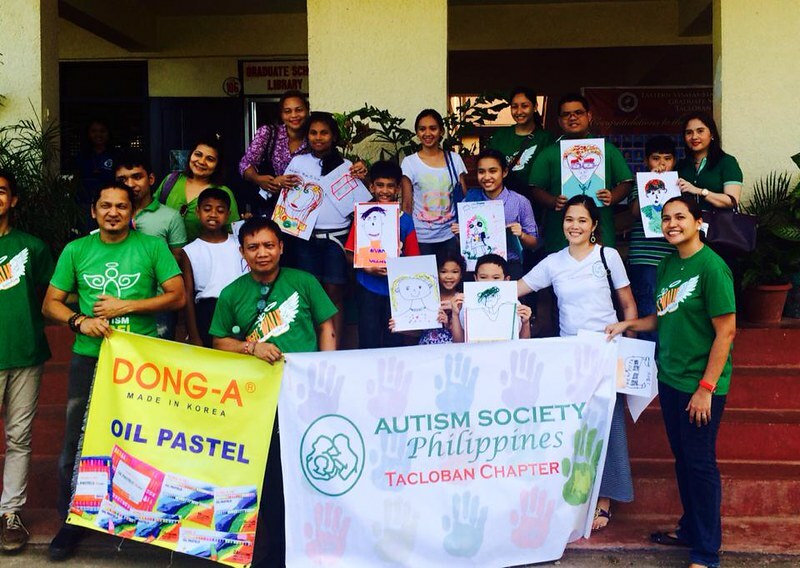 The art workshop for children with autism was opened by Dr. Grace Evangelista of Miriam College and UP Diliman; and Lee Marja Mercado of ASP Tacloban. The participants were divided into 2 groups. Mentor Buddy Ching handled the children with ages 8 years old and above; while Mentor Thomas Daquiaog taught the children aged 7 years old and below. The workshop ran for three days beginning 4 June 2014. About the Author. Lee Marja Mercado an ASP Tacloban President since 2012. Lee worked with Metrobank in Tacloban for 10 years. She is mom to Maddaox Lenard (who is on the spectrum).